It claims to be the “world’s largest men’s accessories company,” supplying retailers like Nordstrom, Macy’s, Kohl’s, J.C. Penney, and Amazon, as well as private labels for numerous other brands. Randa is well-known in the retailer space as the first phone call you make if you want an item to slap your label on. It creates products for brands like Dockers, Levi’s, Kenneth Cole, Cole Haan, Dickies, Chaps, Columbia, Timberland, Tommy Bahama, Tommy Hilfiger, and more, totaling north of 50 brands. Randa also maintains some proprietary labels that it has developed in-house, such as luxury goods brand Trafalgar and Ryan Seacrest Distinction, which is sold exclusively at Macy’s. “We don’t, believe it or not, want to make every brand,” David Katz, Randa’s chief marketing officer, told Business Insider. He added that Randa looks to have a “balanced portfolio” across different prices and uses, to minimize risk while avoiding cannibalization. 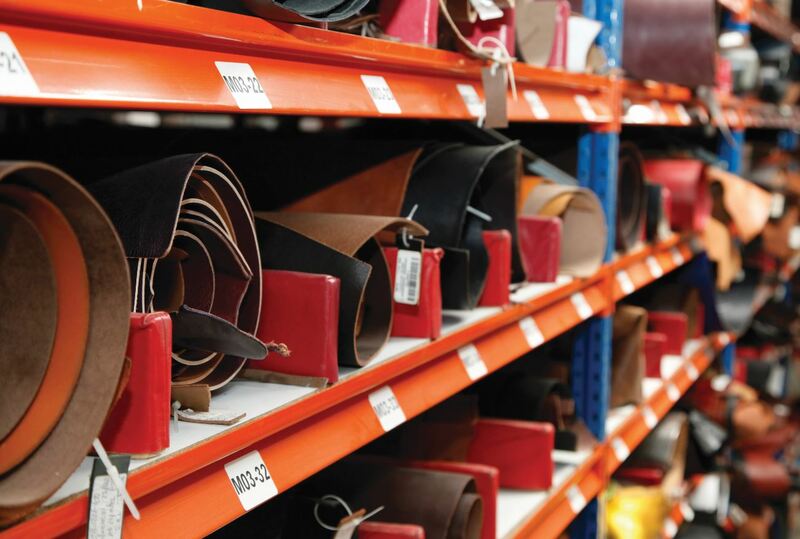 But the company’s biggest category, by far, is belts: Randa makes 40 million belts a year while selling more than 70 million units of product total. To satisfy this demand, Randa has built the largest belt factory in the world: A majority-owned operation in Guatemala, called Tata, that churns out 12 million belts a year all by itself. Randa traces its lineage back to 1910, when two immigrant brothers used a pushcart on Manhattan’s Lower East Side to sell silk ties they had made in New Jersey. Though there were certainly larger businesses in the area, the brothers were more shrewd than the competition, and they ended up forming their own company that then bought another business called Rosenberg and Apakater. That was later shortened to R and A, or Randa. It’s technically still a family company, as CEO Jeffrey O. Spiegel is the son of Herbert Spiegel, the son of one of the brothers who originally founded the company. Herbert still serves as the company’s chairman. A series of strategic acquisitions over the following century allowed the company to grow both in the categories and the brands it offers on the way to becoming the dominant player it is today. Like the broader retail industry, the accessories business has taken some hits as consumers continue to spend less on goods and more on experiences. According to Katz, Randa is in a good position for the future as it shifts its business to make items that are synonymous with experiences. As it sees customers’ changing preferences, Randa has started selling things like leather belts and neck ties that stretch for comfort, as well as smaller wallets that can fit in front pockets.